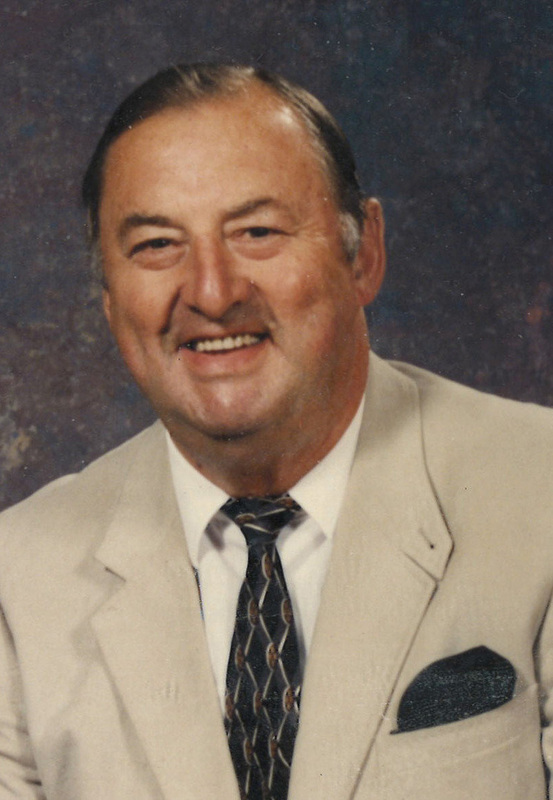 Leander (Lea) Bender Service Details - Kitchener, Ontario | Henry Walser Funeral Home Ltd. Passed away peacefully at St. Mary's Hospital on Monday, September 10, 2018 at the age of 90. Beloved husband of Agnes for 60 years. Loving father of Donna Mitchell (Stuart), Anne Jackowetz (John), Paul Schnarr (Donna), Pauline Tschirhart (Ed) and Dave Schnarr (Terri). Proud grandpa of Kayla, Nick (Christina), Lindsay, Matt, Stacey, Meghan (Mish), Kelsie, Craig (Madé), Aimee, Kerri, Ryan (Erin) and great-grandfather of Henry, Vale, Carter, Katie, Ben and Jack. Survived by his sister Laurine MacDermott. Fondly remembered by many nieces, nephews and their families. Lea was an avid sportsman. He enjoyed fishing, hunting, baseball, golf, horseshoes and bowling. The highlight of his sporting career was winning the Canadian Doubles Horseshoe tournament in Ottawa with his partner Stan Leis. Lea was at his best with 73% ringers for the tournament. He threw 14 ringers in his last 16 attempts to clinch the win. The icing on the cake with this win was defeating his rival Elmer Hohl who was the Canadian Champion. St. Clements Parish was a key part of Lea's life. He was very active in many different aspects of the church, including Eucharistic Minister, usher, lecturer, rang the bells, visited the shut-ins and lead Corpus Christi processions. Lea was a dedicated employee for 34 years at J.M. Schneiders. His friends and family were a very big part of his life. He enjoyed playing cribbage, solo, euchre, and crokinole, especially with his grandchildren. Lea was a community leader in St. Clements. He was president of the Holy Name Society, Horseshoe Club, Flair Committee and the Senior Card Group. Lea loved living in St. Clements and took a lot of pride in his gardening and lawn. He was an extraordinary father and husband, who lovingly cared for Agnes. Lea's family will receive relatives and friends from 2-4 and 7-9 p.m. on Thursday, September 13, 2018 at the Henry Walser Funeral Home, 507 Frederick Street, Kitchener, 519-749-8467. Mass of Christian Burial will be held at St. Clements R.C. Church, 3629 Lobsinger Line, St Clements, on Friday, September 14, 2018 at 10:30 a.m. Interment St. Clements Cemetery. Reception to follow. As expressions of sympathy, donations to St. Clements RC Church would be appreciated by the family (cards available at the funeral home). Visit www.henrywalser.com for Lea's memorial. We encourage you to share any memorable photos or stories about Leander (Lea). All tributes placed on and purchased through this memorial website will remain on in perpetuity for future generations. Our deepest sympathy to all the family. Lea was a very kind & gentle man! My Condolences to the Family on the passing of your Dad. Another Good Soul has ventured on a new Journey. So sad to hear of Lea's passing. Many fond memories of times together with my mom and dad. I don't believe my dad (Reuben Schnarr) had another friendship in his lifetime that he treasured as much as the one he had with Lea. Til now, every Christmas, both men hand wrote a long letter to each describing the events of the previous year. Rest in peace, Lea. Sending love and prayers to the family from your Schnarr family in California.